We have a variety of services to fit your needs. . . . Expert Floor Care: We use a green seal certified floor coating product that is designed with the newest in environmentally preferable polymer technology. It contains NO zinc or other heavy metals that can end up in our water supply. The gloss and durability are excellent. Window/Glass Cleaning: Environmentally preferable. Dye and fragrance free. 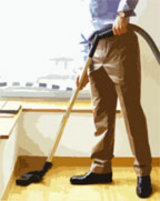 Non-amoniated window cleaning- inside & out! 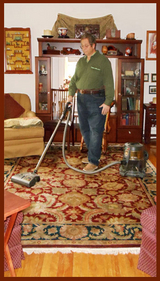 Carpet Cleaning: Our carpet cleaning process is non corrosive, nonflammable, & biodegradable. Dye and fragrance free. We shampoo & extract for a cleaner carpet. The dirt is extracted out of the carpet-not scrubbed into it. We treat for high traffic areas, allowing for longer wear. 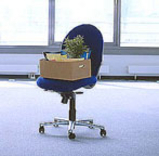 Janitorial Services: We compliment our use of Green Seal Certified cleaning agents with energy efficient equipment. Our crews are trained in the "Green Cleaning" system for minimal impact on your environment and the earth's ecological systems. Residential Cleaning: Cleaning your home without harsh chemicals so you and your family can be healthy and safe is our greatest priority. We want your home to be clean with the least impact on your environment and all our water supply. See our "Residential" page for more information. We are fully insured and bonded contractors.